I love having my nails done around Christmas time! My brothers girlfriend, Gabbie is a beautician and has her nails done regularly and they are incredible so i thought i'd show you her very festive nails and my glitter trimmed festive nails. So these are Gabbie's nails. How amazing are they! The nail patterns are symmetrical and there is a different design on each nail. 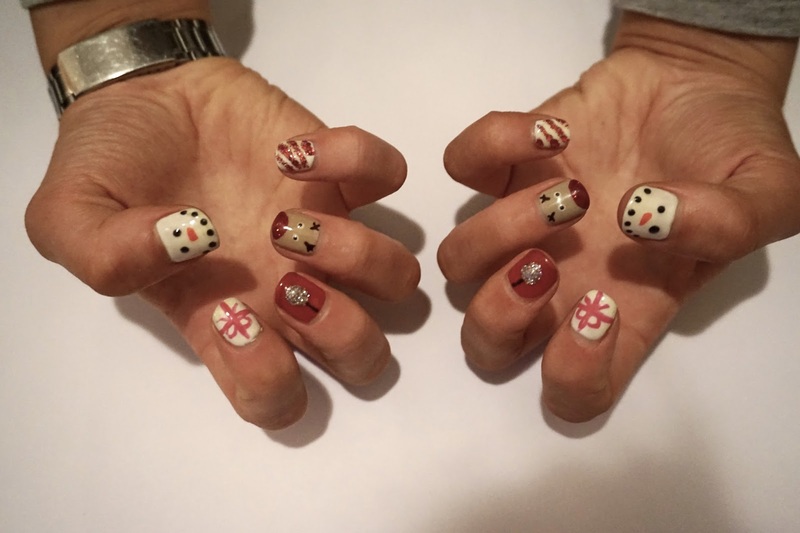 These nails are my idea of the perfect Christmas nails, they are just so festive! On the thumb there is a snowman, then a present, then a bauble, then a reindeer and then a candy cane print. I just think these are beautiful and if i still had my gels on i would definitely get something similar. I think the little reindeer nail is super cute! 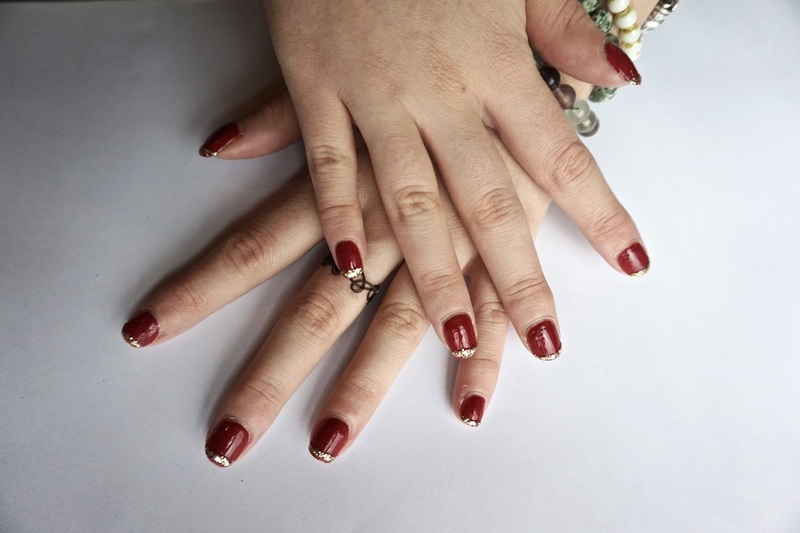 My nails are a little more understated than Gabbie's, so if you're someone who likes to embrace Christmas, but doesn't want to appear too festive, then these might be a perfect nail design for you. My best friend did my nails are i really like them. I thought a red colour was perfect for this time of year as obviously red is associated with Christmas. 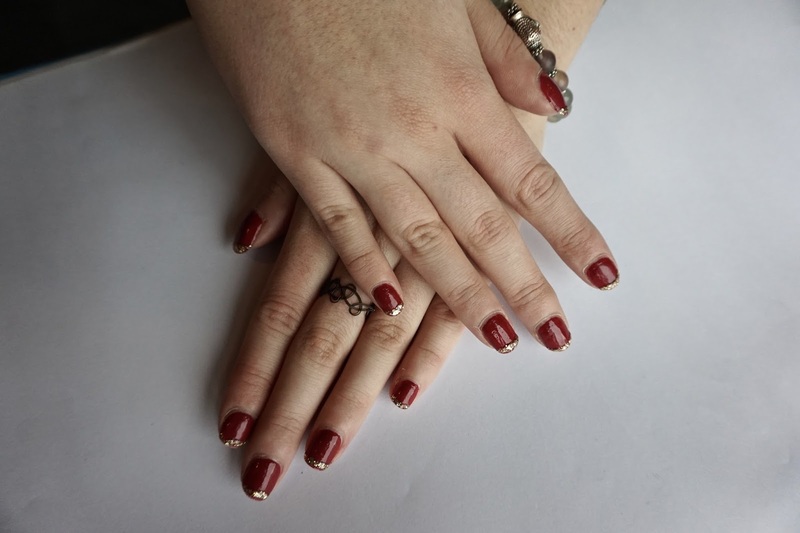 Everyone loves a bit of sparkle around Christmas time, so i thought why not put the two together, so here i have red nails with golden tips. 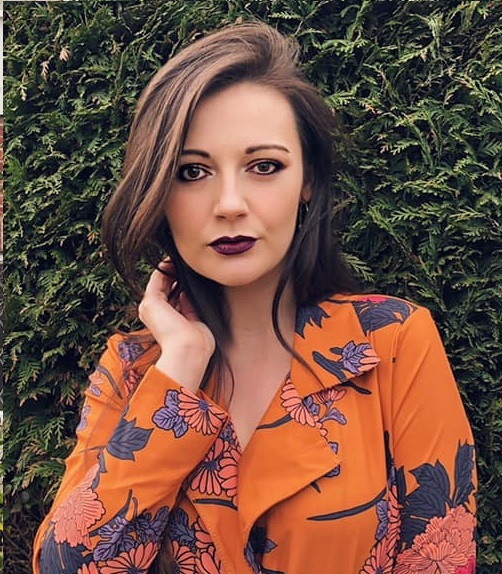 I absolutely love this design as it doesn't scream Christmas at you, but still makes you feel festive! 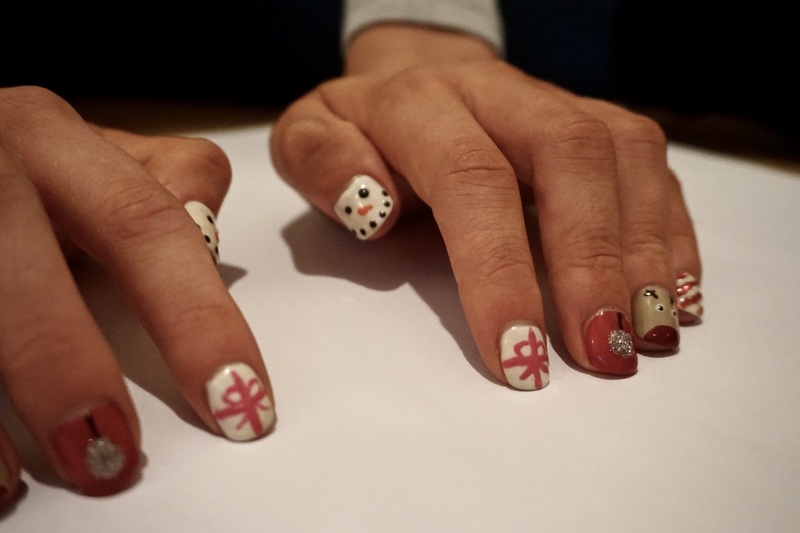 Have you got any ideas for some festive nails?